Magnificent cinematography and sublime music and sounds will entice you to explore enchanted wonderlands around the world and experience the lives of others while they reach beyond personal limits and investigate nature's boundaries. Magnificent cinematography and a sublime sound/music mix of enchanted wonderlands will tempt you to explore the secret lives of trees around the world. Prolific outdoors director Jordan Manley delivers his most exquisite film yet. Simply magic. 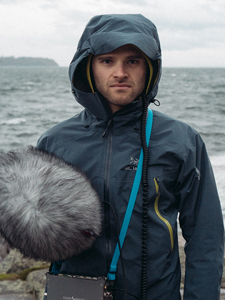 Jordan Manley is a Vancouver-based photographer and filmmaker. His films are an effort to explore the human relationship with nature. Manley produced and directed four seasons of the award-winning A Skier’s Journey, a film series that examined the ties between landscape, culture, and skiing.